A modest but haunting picture from the highly talented director of WHAT HAVE YOU DONE TO SOLANGE? set to a typically beautiful, bewitching score by Stelvio Cipriani. Documentary filmmaker Richard Johnson, working on a project about “diabolical art”, becomes fixated on a painting allegedly crafted by the Devil himself. Satanic visions plague both him and his grieving daughter, and his decision to take her and her nanny to Rome following his wife’s tragic death, results in increasingly ominous events. 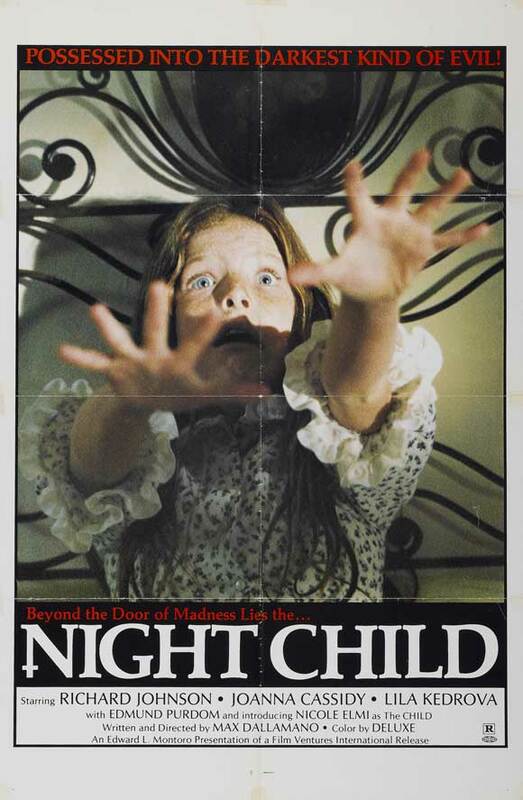 Unusually understated for a 70’s horror film in the post-EXORCIST occult mould, the film is pervasively eerie and gains much production value from the location filming. It also curiously prefigures THE OMEN far more than it echoes the Friedkin blockbuster. Johnson’s defective early documentary footage resembles the prophetic photographs captured by THE OMEN’s shutterbug, while strange “accidents” – including a non-fatal street scene involving a runaway barrel – anticipate the cycle of “Creative death” movies THE OMEN instigated. 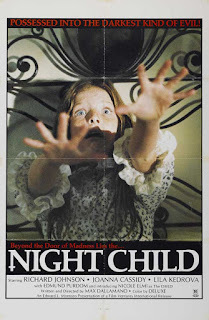 The deployment of Nicoletta Elmi as Johnson’s mood-swinging daughter slots the film into the “Evil Child” sub-genre, and the young actress is highly effective at conveying the personality shifts. Johnson is credible as usual and, despite ponderous stretches, it’s absorbing right up to the fashionably downbeat ending.